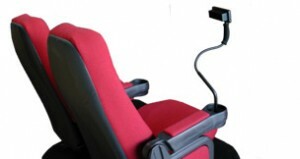 Cinema disabled access is expanding nationally. Under the Federal Government’s Cinema Access Implementation Plan the major cinema chains of Hoyts, Village, Event/Greater Union/Birch Carroll & Coyle and Reading will commence accessible screenings at an extra seven locations by the end of the year. All the new locations will commence closed captions with CaptiView and audio description. On top of these seven locations, ten existing locations will have their accessibility increased. The seven new locations below will have both closed captions (CC) and audio description (AD) on the given number of screens. Dates given are indicative only and will be confirmed in the future. BCC Brisbane Myer Centre – move from open captions to CC and AD on 2 screens by 31 December. These locations will join the recently added Capitol Cinema Centre in Warrnambool Victoria (one screen with captions and audio description), the change at Hoyts Erina from open to captions and the addition of closed captions to Hoyts Penrith (each with two screens). These two Hoyts locations will have audio description added sometime in the future. Accessible sessions are advertised on Hoyts, Village, Events/Greater Union/Birch Carroll & Coyle and Reading websites and also in local newspapers. Look for sessions advertised with CC and AD. Further information on the Cinema Disabled Access Implementation Plan can be found on the Department of Families, Housing, Community Services and Indigenous Affairs website.